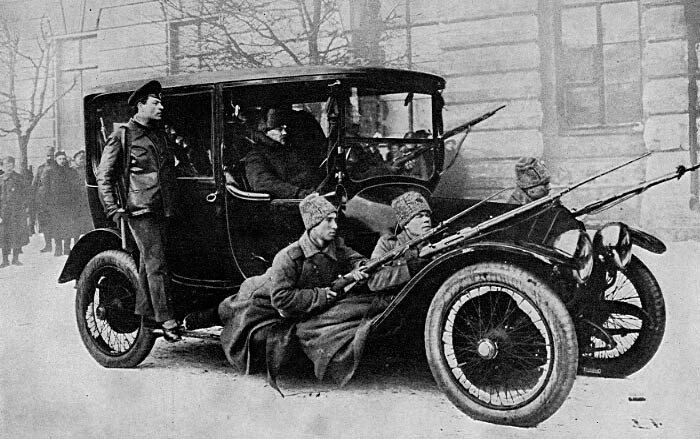 The Duma communicated with various parts of the city by messengers who rode in automobiles with guards of soldiers. These motors were driven at a terrific speed through the streets. One ran even more risk of being killed by them than by the bullets that were flying in all directions.